Address: Unit 308, 3/F, Building 16W, Phase Three, Hong Kong Science Park, Sha Tin, NT, Hong Kong SAR. From MTR Shatin Station: take green minibus 27 (Pai Tau Street, near to IKEA) and get off at the Hong Kong Science Park Phase Three stop (about 10 minutes). Building 16W is right next to the minibus stop. 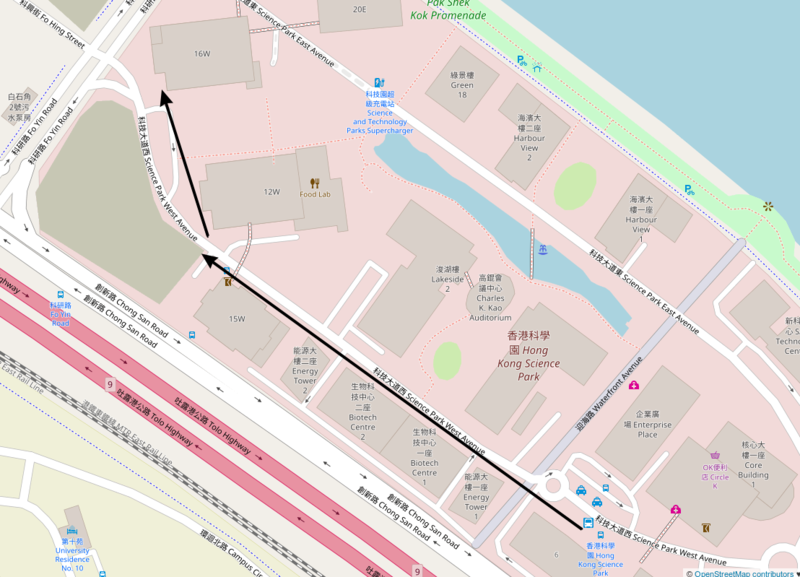 From MTR University Station: take bus 272K and get off at the Hong Kong Science Park stop (about 5 minutes). From the bus stop, you may walk to Building 16W in around 5-10 minutes following the route as follows.